To better serve our customers, we offer a product support portal to help answer any questions or resolve any issues you encounter when interacting with our hardware or software. We also offer extensive training resources within the portal. Click the Customer Portal button to log into or register for the customer portal. Click Quick Support to grant remote access to a Service Representative. 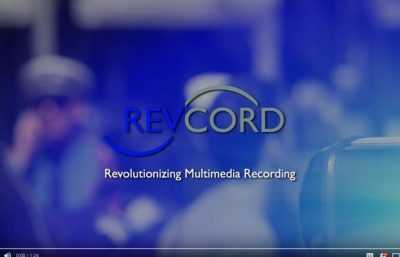 Want to learn more about Revcord products and services? Browse through our knowledgebase to see how Revcord can help your agency. There are a lot of questions surrounding Text to 9-1-1. This document helps understand where the market is and what Revcord has to offer. The following document outlines Revcord's Terms & Conditions. Please contact us to learn more about how Revcord can help your agency. Revcord is proud to announce the most innovative and advanced multimedia logging solutionon the market today. This is Revcord’s largest software release to date. Used properly it is an excellent tool, but using speech analytics for word or phrase spotting in a call center or public safety call recording environment for call retrieval provides for a good service. Based on this information, IT professionals can get a detailed picture of the software security before deploying RevGuard. Please feel free to distribute this document to your customers in order to resolve possible security concerns. Revcord is revolutionizing emergency communication in our mobile society. Request a quick demo today. Revcord employs some of the most highly skilled and qualified technical specialists in the voice logging industry. Please don’t hesitate to contact us for a rapid response. Copyright 2017-2019 Revcord | All Rights Reserved.